A study indicates that calcium supplements can improve bone health in pre-menopausal women. However, the vitamin D supplements do not provide any added benefit for women who already have normal vitamin D levels. It does not help in reducing bone turnover. The results of the study are accepted for publication in The Journal of Clinical Endocrinology Metabolism of The Endocrine Society. Bone turnover is the way that the body breaks down old bone. In younger people, the body forms enough new bone to replace that old bones that the body loses. However, the ability to replace old bone decreases after the age of 30. Bone mass in women starts to decline and can speed up further after menopause. Osteoporosis develops when the body can longer replace bone mass as fast as it breaks down. The said study divided 159 post-menopausal women into four groups. One group received a combination of vitamin D and calcium. Another group took 1,200mg of calcium daily. 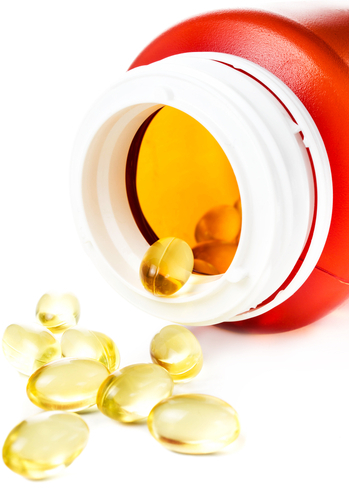 The other group was given 4,000IU of vitamin d daily while the last group took placebos. In order to measure the effect of the supplements, the researchers measure the bone turnover markers in the participants such as parathyroid hormone levels in the blood. The study took place over the course of six months, with 120 women able to complete the study. Result showed a significant decline in bone turnover markers in women who took daily calcium supplements. The vitamin D supplements, however, did not have any effect on bone turnover markers. But the supplements did decrease parathyroid hormone levels.